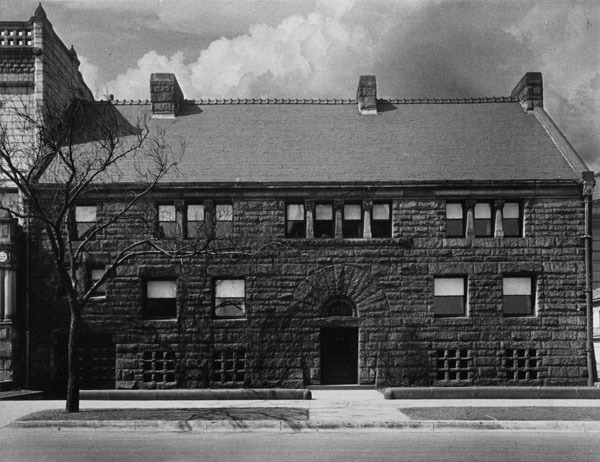 On Wednesday June 1, 2011, the museum will launch an 18-month celebration commemorating the building of Glessner House. A full evening of events is scheduled beginning at 6:00pm . A summary of the festivities is found below. 6:30pm – Welcome and recreation of the Glessners’ groundbreaking ceremony (which took place June 1, 1886). Official launch of the 125th Anniversary Fund, the goal of which is to raise $125,000 during the anniversary period to complete numerous restoration projects around the museum. 6:45pm – Presentation of the new reprint of John Glessner’s 1923 The Story of a House, funded by the Graham Foundation for Advanced Studies in the Fine Arts. This reprint includes the full text and contains over 60 historic images. Copies will be available for purchase at the event and the original leather-bound copy presented to the Glessners’ daughter Frances Glessner Lee in 1923 will be on display. 7:00pm – Unveiling of the new permanent exhibit on Henry Hobson Richardson, written by Richardson scholar James F. O’Gorman. This exhibit, on display in the tour center, explores Richardson’s life, major works, impact on Chicago architecture, and his design for the Glessner house. A companion booklet with expanded text by the author will be available for sale. 7:00pm – Viewing of the temporary exhibit “The Story of a House” showcasing selected books on architecture and design from the library of John and Frances Glessner. This exhibit is part of the city-wide celebration “Festival of the Architecture Book, 1511-2011.” Visit http://www.1511-2011.org/ for further information on events throughout the city. For more information on the June 1 anniversary celebration, visit http://www.glessnerhouse.org/Events.htm or call 312-326-1480. The cost of the event is $15 per person, $10 for museum members. Advanced reservations are suggested. 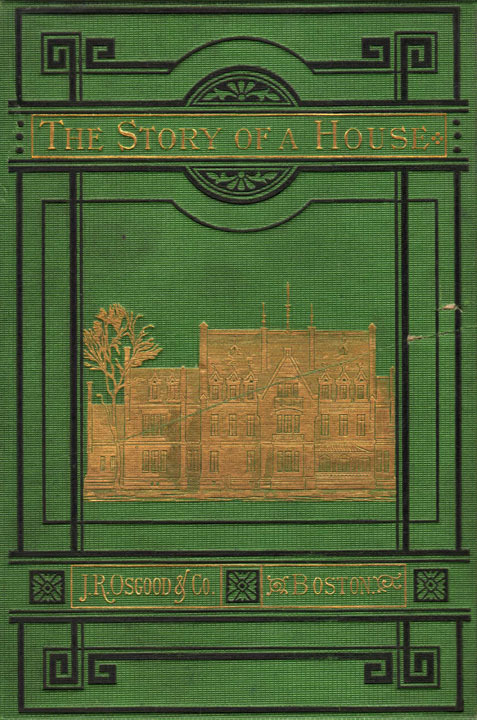 On Wednesday June 1, 2011, as part of the event launching the 125th anniversary celebration of the building of Glessner house, the museum will unveil the first full reprint of John Glessner’s The Story of a House. The reprint, which will cost $14.95, was funded by a generous grant from the Graham Foundation for Advanced Studies in the Fine Arts. In 1923, John J. Glessner, then 80 years of age, wrote The Story of a House, a loving and personal reminiscence of the house at 1800 South Prairie Avenue in Chicago that he and his wife Frances had called home since 1887. The title comes from a book written in 1874 by the French architect and theorist Eugène-Emmanuel Viollet-le-Duc, a copy of which the Glessners owned. John Glessner was fully aware of the significance of his home and the architect who designed it. 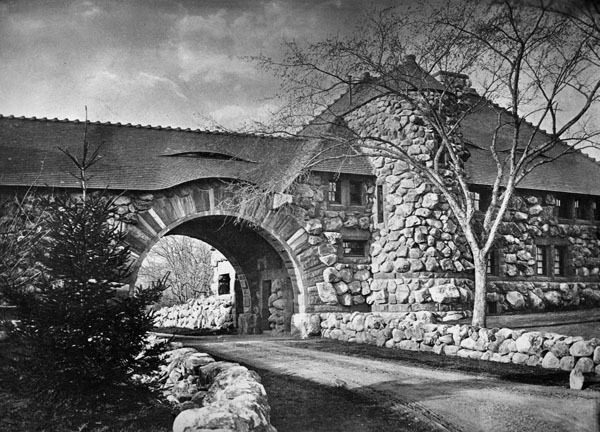 But The Story of a House was not written as a scholarly monograph about H. H. Richardson or his impact on American architecture. The Story of a House was written by a father for his two children – John George Macbeth Glessner and Frances Glessner Lee. It was intended as an intimate story of the house as a family home, and as a record of its furnishings, its occupants and visitors, and some of the important events that shaped the lives of the family members. 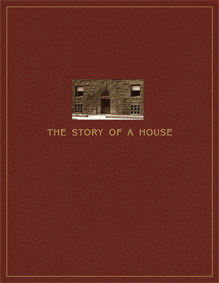 This is the first reprint of The Story of a House to include the complete text and all photographs (taken by the prominent architectural photography firm of Kaufman and Fabry). A few small errors have been fixed – these have been indicated by placing the corrected word in [brackets]. Otherwise, the manuscript reads exactly as John Glessner wrote it, his personal style clearly reflected in the elegant prose that transports us back to the era that he knew and was attempting to preserve. The timing of The Story of a House coincided with enormous change that was taking place on and around Prairie Avenue. Just a few months after presenting the story to his children, John Glessner wrote to them stating, in part, “Your Mother and I may have to leave our house 1800 Prairie Ave. after a while – how soon can’t be told. The Pullman and McBirney houses on the corners of 18th Street have been torn down and the Henderson house, the Kimball house and the Otis-Jenkins house are high class rooming houses, and nearly all the others are business, though of very satisfactory and unobjectionable kind. In this state of transition of course we cannot tell how soon something may happen to make our place unsatisfactory. We have hoped we could live here as long as we needed a house at all, and perhaps we can, who knows. At any rate we shall not move until we have to.” John Glessner wrote The Story of a House because he realized that the house itself might soon disappear, and his story would be the only tangible reminder of all it meant to his family. The Glessners were able to remain in their beloved home until their deaths – Frances Glessner in October 1932 and John Glessner in January 1936. 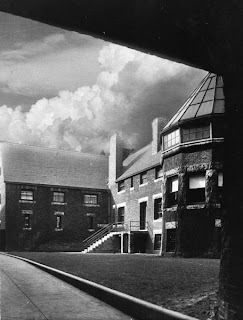 For the next thirty years, the house was occupied first by the Armour Institute and then by the Lithographic Technical Foundation, which set up printing presses in the once elegant rooms. When that company moved to Pittsburgh in the 1960s, demolition seemed imminent. A small group of preservationists, determined to rescue Richardson’s masterpiece of urban residential design, banded together and saved the house in 1966. Since that time it has been extensively restored, and descendants have returned most of the original furnishings. Today visitors to Glessner House Museum, now a National Historic Landmark, can experience the home just as John Glessner preserved it in The Story of a House. The cost of the event is $15 per person, $10 for museum members. Advanced reservations are suggested. The Glessner and Clarke House Museums are proud to once again be participating in the Blue Star Museum program. This program, a partnership established in 2010 with Blue Star Families, the National Endowment for the Arts, and more than 1,000 museums, enables active military personnel and their families to visit participating museums across the country at no charge, from May 23 through September 5 (Labor Day). 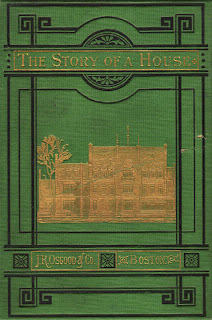 On Wednesday June 1, 2011, as part of the event launching the 125th anniversary celebration of the building of Glessner house, the museum will unveil a temporary exhibit entitled “The Story of a House.” This small exhibit of books from the Glessners’ library will focus on their interest in architecture and design. During the 1870s and 1880s, John and Frances Glessner purchased numerous books that helped shape their desire for the unconventional home that would stand in stark contrast to the other mansions along Chicago's Prairie Avenue. This resulted in the hiring of America's great architect, H. H. Richardson, to design a home that was immediately praised by architects, but scorned by neighbors. The exhibition of books will help to explore the complex relationship between a progressive architect and his well-informed clients. The title comes from a book written in 1874 by the French architect and theorist Eugène-Emmanuel Viollet-le-Duc, a copy of which the Glessners owned. That book, shown above, is one of many that clearly illustrates the Glessners’ sophisticated level of knowledge regarding architecture and design. In 1923, John Glessner used the title for his own manuscript about 1800 S. Prairie Avenue. A full reprint of that manuscript, featuring more than 60 period illustrations, will be unveiled on June 1, and copies will be available for sale. The exhibit, part of the city-wide “Festival of the Architecture Book 1511-2011,” will run from June 1 through October 2, 2011. Located in the tour center, it is open for viewing during normal public tour hours, Wednesday through Sunday from 11:30am to 4:00pm . At the Mother-Daughter Tea held on April 30 at the museum, dresses representing three generations of the family were on display to the delight of visitors. The oldest piece was worn by Nancy (Bayard) Macbeth, Frances Glessner’s mother, and dates to the period 1865-1870. The one-piece black silk gown features the typical silhouette of the 1860s which emphasized width rather than height. The shoulders and hips are broadened to give the illusion of a small waist. The shoulder seams are dropped about an inch below where they are placed today and yards of fabric were tightly gathered to the waistband, allowing the skirt to spread away from the body. The voluminous skirt would have been supported by a hoop, or steel cage crinoline, that allowed Mrs. Macbeth to have the look of fullness without several layers of heavy cumbersome petticoats. The dress is trimmed in silk velvet down the front of the bodice and features a decorative velvet bow at the waist. Fine lace cuffs accent the piece, which is fully lined with linen and polished cotton. Accenting the dress is a lace fishu or wrap that was a common accessory of the day. Ladies often accessorized dark clothing with light lace items that would provide a little something extra to an otherwise simple dress. Completing the ensemble is Mrs. Macbeth’s lace day cap, dating to the same period. Such caps were favored by mature, married women and were worn low on the head and provided a finishing touch to the hairstyle of the period which was parted down the middle and swept back to a bun at the nape of the neck. The cap has buckram or starched cloth and a wire foundation to which the lace and silk ribbon are sewn. The most elaborate dress on display was worn by the Glessners’ daughter Fanny and dates to the mid-1890s when she would have been in her late teens. The silhouette of the cream-colored silk dress is typical of the period with exaggerated puffed sleeves. It is beautifully trimmed with silk ribbon, lace and beading. The bodice is transitional with slight blousing at the front anticipating the pigeon-breast look of the early 1900s. The sleeves have a rouched overlay of gauzy silk and feature fine lace cuffs. The bodice and skirt are separate and require assistance to put on, as the fasteners are at the back of the neck and waist. Frances Glessner’s grandmother and great-grandmother were also represented with a lovely 1885 handkerchief safe crafted of fragments of their silk dresses. That piece was featured in the blog posting of March 21, 2011.